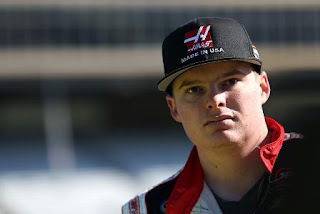 Stewart-Haas Racing has named Cole Custer as the driver of its NASCAR XFINITY Series team that will debut in 2017. Custer, who will turn 19 prior to the start of the 2017 season, will pilot the team’s No. 00 entry fulltime and compete for rookie of the year honors. Haas Automation, the largest machine tool manufacturer in North America, will be the primary sponsor. Custer currently competes fulltime in the NASCAR Camping World Truck Series. The native of Ladera Ranch, California, has two wins and four poles in 34 career Truck Series starts. And in preparation for his planned advancement to the XFINITY Series, Custer has made three XFINITY Series starts in 2016, scoring two top-10s with a best finish of fourth in May at Charlotte (N.C.) Motor Speedway. When Custer won his first Camping World Truck Series race on Sept. 20, 2014 at New Hampshire Motor Speedway in Loudon, he became the series’ youngest race winner at 16 years, 239 days. It was not the first time Custer had tasted success at an early age. 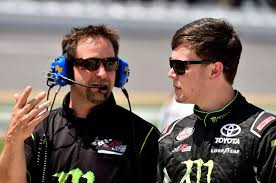 In winning his first career NASCAR K&N Series race on Aug. 2, 2013 at Iowa Speedway in Newton, Custer became the youngest winner in K&N Series history at 15 years, 190 days. And when Custer debuted in late model stock cars in 2012 at age 14, he won three races to become the youngest late model winner, which began with his first career start at I-10 Speedway in Blythe, California. Throughout these firsts, which also includes an ARCA Racing Series victory in August 2015 at Pocono (Pa.) Raceway, Haas Automation has been affiliated with Custer. Police responded to an Orange, California home owned by Gordon on the 1400 block of North Kennymead Street at approximately 5 p.m. Wednesday, after a family friend requested a welfare check. Inside, they discovered the bodies of 68-year old Robert Gordon and his wife Sharon, 57. A weapon was discovered inside the home and authorities say the deaths appear to be a murder-suicide. Gordon is a three-time winner in the NASCAR Sprint Cup Series, most recently winning a pair of road course events at Sonoma and Watkins Glen in 2003, while driving for Richard Childress Racing. In recent seasons, he has raced on the SPEED Energy Formula Off-Road Series, which he also owns. Ryan Newman let it all out Saturday night at Richmond International Raceway, in the aftermath of a Lap 363 tangle with Tony Stewart that eventually swept up Newman, Stewart, Carl Edwards, David Ragan, Brian Scott, AJ Allmendinger and Dylan Lupton. Moments after exiting Richmond’s Infield Care Center, Newman lambasted Stewart on national TV and radio, even referencing the August 2014 incident that saw Stewart strike and kill driver Kevin Ward, Jr., with his Sprint Car on an upstate New York short track. “(Stewart) cut across my line and couldn't control it,” said Newman Saturday night. “I guess he thought he was in a Sprint Car again and didn’t know how to control his anger. It’s just disappointing that you've got somebody old like that that (should retire), the way he drives. It's just ridiculous. I don't think there was any reason, other than him being bipolar and having anger issues. Google Tony Stewart, you'll see all kinds of things he's done. Look it up on YouTube. Quite the guy." 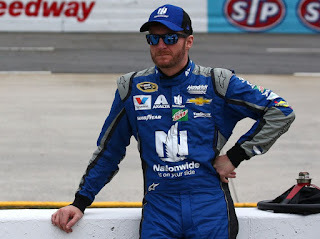 Under different circumstances, Newman’s comments might be chalked up as simple, “heat of the moment” emotion; the unhappy words of a man who had simultaneously crashed out of an important race, seen his 2016 Chase hopes dashed, likely forfeited a healthy salary bonus for making said Chase and opened the door to increased speculation about his possible departure from Richard Childress Racing at season’s end. Any of those four factors would be enough to trigger an outburst of anger. But Newman’s comments went well beyond the pale, exorcising demons that appear to date all the way back to the end of the 2013 season, when Newman was unceremoniously released by Stewart Haas Racing in favor of Kevin Harvick. At the time, Stewart said his team was unable to accomodate four drivers, only to reverse course a month later when partner Gene Haas – unbeknownst to Stewart, who was recuperating from a badly broken leg suffered in another Sprint Car crash – offered Kurt Busch a contract to drive a fourth SHR entry. Close friends with both Newman and Harvick, Stewart found himself in a decidedly awkward position. Newman said he understood, however, saying, "I don't think Tony lied to me at all. I don't think there were any hidden agendas on Tony's behalf. I've had a good relationship with him, and have been open with him, and my communication has been mostly with him (during) my whole relationship at Stewart-Haas Racing. Saturday night, Newman’s comments were decidedly hard; filled with more anger than the on-track circumstances appeared to justify. Stewart responded to those comments with restraint, however, painting the incident as a case of too much contract by a driver (Newman) desperate to make the 2016 Chase. For the record, Newman won four times during his four-year tenue at SHR, with just one Top-10 finish (a 10th) in the championship standings. After replacing Newman, Harvick claimed five wins and the Sprint Cup Series championship in his inaugural season, before finishing a close second to Kyle Busch last year. In his brief time with Stewart Haas, Harvick has 10 wins and has finished in the Top-5 an amazing 51% of the time. Based strictly on the numbers, Haas’ decision to bring Harvick aboard has been a good one. That doesn’t prevent Newman from holding a grudge, however, even against a man (Stewart) he once called a close friend. Unfortunately, Newman’s Richmond rant went well beyond persona and all the way to legal. Despite being cleared of all legal charges in Ward’s tragic death, Stewart still faces a civil suit filed by Ward’s family. The basis of that suit is the contention that Stewart is a loose cannon, unpredictable and incapable of controlling his volcanic temper. Now, one of Stewart’s fellow competitors – a former employee and close personal friend – has bolstered those allegations, using terms like “bipolar” and “anger issues” that will almost certainly be used against Stewart in a court of law. In one moment of unbridled pique, Ryan Newman just became the lead witness for the prosecution. And that, in my opinion, will be difficult to forgive and forget. Stewart Haas Racing’s No. 4 Chevrolet team had a rough night Sunday at Darlington (SC) Raceway. Driver Kevin Harvick claimed a second-place finish behind winner Martin Truex, Jr. in the Bojangles Southern 500, but only after overcoming the loss of 17 positions on pit road; 12 of them on a single stop when an air gun malfunctioned. Harvick minced no words in expressing his unhappiness after the race, calling out his over-the-wall crew for what he claimed was a season of shoddy service. “We had a great car," fumed Harvick in a terse, post-race media session. "The guys in the garage and at the shop continue to do a great job, (but) we continue to give it away on pit road. I'm over being a cheerleader. Those guys get paid a lot of money to perform on pit road and cheerleading hasn't been working. You've got to get after it on pit road and do your job. "It's been this way for a few years and they've moved some things around, but it just seems like it's just week after week after week,” he explained. “(We) have a couple of good weeks here and there and every once in a while, (we) put together a day. But they just can't put together a whole race on pit road right now. Harvick’s comments raised the ire of some NASCAR fans, and also produced a pair of personnel changes for Saturday night’s at Richmond International Raceway. Former Danica Patrick crewman Eric Maycroft will replace front tire changer Tim Sheets on the No. 4 squad, with Matt Holzbaur replacing front tire carrier Todd Drakulich. Sheets and Drakulich will move to Patrick’s No. 10 team. Harvick never been known to pull his punches, on or off the race track. Since being named to replace the late Dale Earnhardt, Sr. at Richard Childress Racing in 2001, the California native has given his all behind the wheel, while demanding the same effort from his teammates. 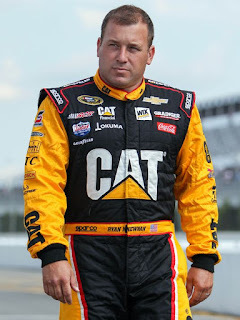 He left RCR in 2013 after not receiving what he believed to be championship-caliber equipment, then backed up his decision by claiming the Sprint Cup Series championship in his first season with Stewart Haas Racing. Sunday night, Harvick used his Bully Pulpit as a former series champion to expose – and ultimately solve – issues that threatened to cost his team a shot at a second Sprint Cup Series title. While his delivery may have left some observers cold, his point was spot-on. Crew chief Rodney Childress concurred, saying, "We've got to do a better job from week to week on pit road." This isn’t Youth Tee Ball, where players get as many cuts as they need to bloop a base hit over the infield. This is professional sports – stock car racing at its highest level – where the difference between winning and losing is often measured in thousandths of a second. Over-the-wall crewmen for top NASCAR Sprint Cup teams command six-figure salaries, and for that kind of pay, they are expected to perform, every single time. Not sometimes. Not most of the time. Harvick: "I'm over being a cheerleader." Passing the finest stock car racers on the planet once or twice is difficult enough. Passing them five or six times in 500 miles -- waging war repeatedly over the same lost pieces of real estate -- is virtually impossible, even for a driver as talented as Kevin Harvick. Admittedly, calling out your teammates is not an ideal situation. 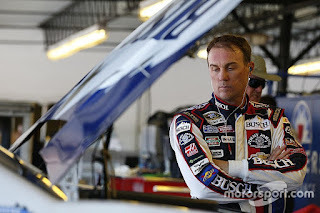 But voicing concern behind the scenes – as Harvick has done for the last 25 weeks -- was clearly not working. It was time to take more decisive action, before the start of the Chase. Before it was too late. Harvick’s comments Sunday were no different than a driver saying, “our engine shop needs to find more horsepower,” or “we’re behind on our chassis set-ups.” It was a bold statement of fact; a warts-and-all assessment of a race team with a major competitive chink in its championship armor. And with just a few choice words in the Darlington Media Center, SHR’s problem was addressed, once and for all. If you’re a starting offensive lineman in the NFL who gets pancaked three times in every quarter, you’re headed straight to the waiver wire. If you’re a goaltender in the NHL with a 9.66 GAA, you’re headed for the minors. And if you’re a NASCAR Sprint Cup Series driver who has crashed out in eight of the last 10 races, you’re headed back to the Late Model Stocks. Professional athletes are tested every week, and those who come up short soon discover that there’s a long line of talented, hungry youngsters waiting to replace them. Harvick spent much of the 2015 season attempting to motivate and encourage his pit crew. Sunday, he stopped cheerleading and began lobbying for change. The next 11 weeks will determine how it all works out. Furniture Row Racing has hired Chris Gayle to serve as crew chief for the team’s new, second entry; the No. 77 5-hour ENERGY Toyota to be driven by Erik Jones. 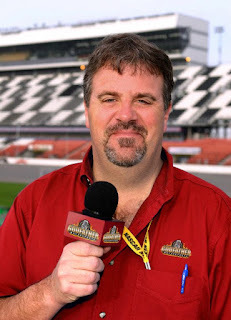 Gayle, a 17-time winning crew chief in the NASCAR XFINITY Series, joins Furniture Row Racing after a 14-year career as an engineer and crew chief with Joe Gibbs Racing. 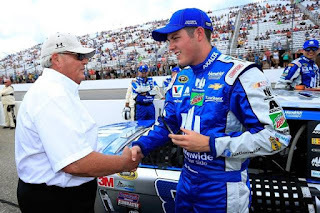 He was promoted from engineer to crew chief by the company in 2013. Nine of Gayle’s 17 wins in the XFINITY Series have come this season; seven with Kyle Busch and one each with Denny Hamlin and Sam Hornish Jr. Gayle was also on the pit box when Jones won the 2015 XFINITY race at Chicagoland Speedway. “I’ve watched Furniture Row Racing from afar and have been impressed with the success they have had with Martin Truex, Jr. in the No. 78 Toyota,” said Gayle. “This is a great opportunity to join a first-class team led by owner Barney Visser, who is deeply committed to provide the necessary resources to be successful in the Cup series. I also want to help Furniture Row Racing grow an already strong relationship with Toyota and Joe Gibbs Racing. I look forward to moving to Denver, it’s an awesome city. My wife Brandi says she is more about mountains than beaches. Jones said he looks forward to working with Gayle during his 2017 rookie season. “I am not only excited to have Chris as my crew chief, but also excited for Chris in a career move that he deserves,” said Jones. “I have worked with Chris and we have a mutual respect for each other. I feel we have an opportunity to have a good year together, and at the same time, build a team from the ground up. 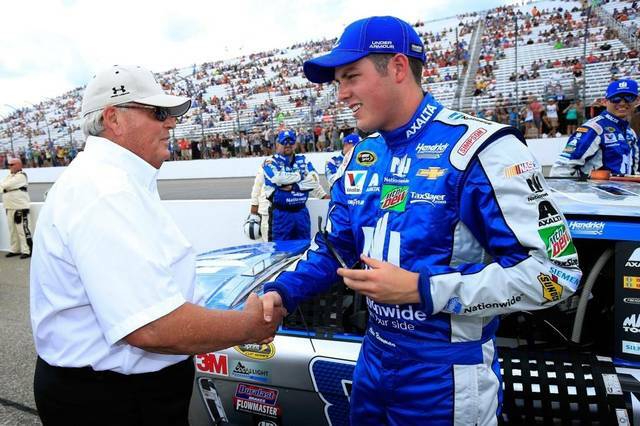 Chris has had tremendous success in the XFINITY Series and has shown time after time how to win races. We can’t wait to make our debut in Daytona with the No. 77 5-hour ENERGY Toyota." Gayle and his family – wife Brandi and 19-month-old daughter Cora -- will move to Denver, where he will begin working out of the Furniture Row Racing shop following the 2016 campaign. A native of Little Rock, Ark., Gayle attended the University of Arkansas in Fayetteville for two years before transferring to the University of North Carolina Charlotte, where he graduated in 2002 with a mechanical engineering degree. Ryan Newman’s job just got a whole lot more difficult. NASCAR docked the Richard Childress Racing driver 15 championship points today, after his Caterpillar Chevrolet failed the Laser Inspection Station following Sunday night’s Bojangle’s Southern 500 at Darlington Raceway. After the penalty, Newman now trails Jamie McMurray by 22 points in the battle for the final spot in the 2016 Chase for the NASCAR Sprint Cup. While he could still make the Chase on points, he will almost certainly need to win Saturday night’s race at Richmond International Raceway to qualify. 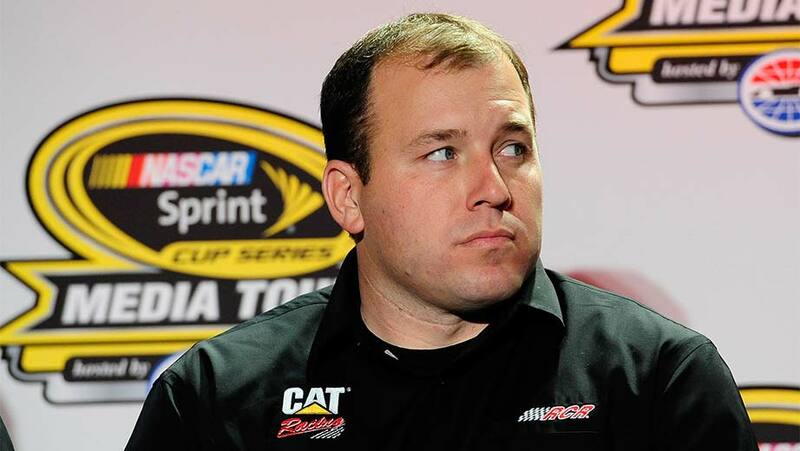 In addition to Newman’s penalty, car owner Richard Childress was docked 15 championship car owner points, with crew chief Luke Lambert fined $25,000. RCR could appeal the penalty, and NASCAR has provisions for expediting such an appeal in order to have a final verdict before Saturday night’s decisive race at Richmond. In addition to Newman’s penalty, Kyle Larson’s team was also penalized for a Laser Inspection Station violation following Sunday night’s race. NASCAR docked Larson 15 driver points and docked Chip Ganassi 15 owner points, with Chad Johnston fined $22,500 for a P2 penalty. Dale Earnhardt, Jr.’s 2016 season is over. Hendrick Motorsports announced today that after being sidelined by concussion symptoms since July 17 at New Hampshire Motor Speedway, Earnhardt will not return before the end of the 2016 campaign. “I wish I could return to the No. 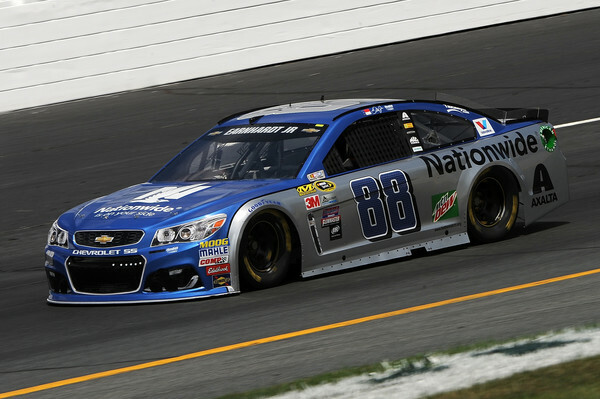 88 team this season,” said Earnhardt in a media release today. “To say I’m disappointed doesn’t begin to describe how I feel, but I know this is the right thing for my long-term health and career. I’m 100-percent focused on my recovery, and I will continue to follow everything the doctors tell me. Former series champion Jeff Gordon and youngster Alex Bowman will continue to share the driving duties in the No. 88 Nationwide Chevrolet in his absence, with Gordon running this weekend’s Bojangle’s Southern 500 at Darlington (SC) Raceway. 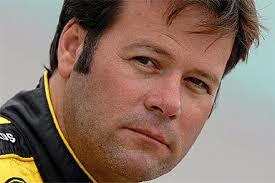 He will also compete at Richmond, Dover and Martinsville in coming weeks. Bowman will be behind the wheel in the remaining eight races at Chicagoland, New Hampshire, Charlotte, Kansas, Talladega, Texas, Phoenix and Homestead-Miami Speedways. Team owner Rick Hendrick said he supports Earnhardt’s decision, adding, “I know how hard Dale has worked and how frustrating this is for him. He wants to be back, and we want him back, but we want it to be for the long haul. We’ve had incredible support from everyone involved with the team, including all of our sponsors. They’ve put Dale’s health first every step of the way. Earnhardt’s withdrawal creates a once-in-a-lifetime opportunity for Bowman, who has performed admirably in his two previous starts despite being unable to close the deal with an up-front finish. He was solidly in the Top-10 with 30 laps remaining in his initial outing at New Hampshire in July, before a cut left-rear tire dropped him far back in the finishing order. At Michigan two weeks ago, he qualified sixth and climbed as high as fourth before engines issues once again spoiled his day. Now, with eight races to showcase his ability, Bowman said he feels less pressure. Currently entrenched in a battle of his own to make the 2016 Chase, Jamie McMurray knows what it’s like to be handed such an opportunity. The Missouri native replaced Sterling Marlin in Chip Ganassi’s No. 40 Coors Light Dodge after the series point-leader suffered a fractured vertebra at Kansas Speedway in 2003, and drove the car to Victory Lane at Charlotte Motor Speedway in only his second start. McMurray said Bowman has “done a really good job” in his two HMS starts this season. “To jump in and do as well as he has, (he’s) done an awesome job. He's going to get a future opportunity, because he's shown he is capable of it." So while Bowman attempts to make the most of his relief role, Earnhardt will now focus solely on regaining his lost health, while simultaneously setting a new standard for professional athletes dealing with concussions. "I'm sad to see he won't be in the car,” said Elliott Sadler, who leads the NASCAR Xfinity Series championship standings in a car fielded by Earnhardt’s JR Motorsports team. “As a race driver, you want to be in your race car competing. “But on the flip side of that, I am happy and proud of him taking a step back and making sure he gets everything in line, so he will be 100 percent when the 2017 season starts. For him to be as open about it as he has been, I'm very proud of him of him for that. Not many drivers would do that. He is definitely leading by example." Dale Earnhardt, Jr.’s 2016 season is officially over. 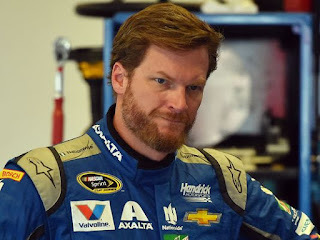 Hendrick Motorsports announced today that after being sidelined by concussion symptoms since July 17 at New Hampshire Motor Speedway, Earnhardt will not return before the end of the season. “I wish I could return to the No. 88 team this season,” said Earnhardt in a team release today. “To say I’m disappointed doesn’t begin to describe how I feel, but I know this is the right thing for my long-term health and career. I’m 100-percent focused on my recovery, and I will continue to follow everything the doctors tell me. Jeff Gordon and Alex Bowman will continue to share the driving duties in the No. 88 Nationwide Chevrolet in his absence Earnhardt’s car, with Gordon driving in this weekend’s Bojangle’s Southern 500 at Darlington Raceway. He will also compete at Richmond, Dover and Martinsville. Bowman will be behind the wheel in eight races, at Chicagoland, New Hampshire, Charlotte, Kansas, Talladega, Texas, Phoenix and Homestead-Miami Speedways. Team owner Rick Hendrick said he supports the decision, adding, “I know how hard Dale has worked and how frustrating this is for him. He wants to be back, and we want him back, but we want it to be for the long haul. We’ve had incredible support from everyone involved with the team, including all of our sponsors. They’ve put Dale’s health first every step of the way.